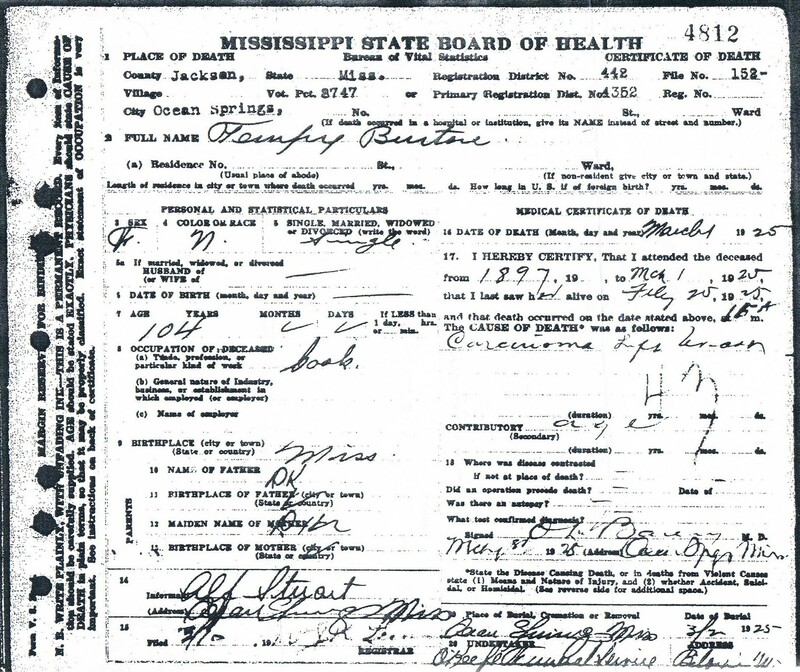 My great, great-grandmother, Tempy Burton's 1925 death certificate. Call me greedy, but finding out what happened to my great, grandmother Josephine was not enough for me. It just left me wanting more. Now, I’m determined to discover where and from whom Josephine’s mother, Tempy Burton came from. Genealogy buddy, Ghita Johnson forwarded Tempy’s death certificate pictured above which I hoped would shed some light on her family. (Thanks, Ghita!) I was crestfallen to see that there were no names written in the spaces next to “father” and “mother,” just some indecipherable letters that I can’t decode. It was also heart-breaking to see that this woman who lived to be 104 and endured a good part of her life as a slave succumbed to”carcinoma of the left breast.” To find anything about her people, I’d just have to keep chasing down more information about Tempy’s last known owner, Hill Jones. A longtime resident of Canton, Mississippi, Jones was originally from North Carolina. Scrolling through the volunteer run US Gen Web Project’s North Carolina database turned up no information on him. Last night, I turned to Dr. Gwendolyn Midlo Hall’s Afro Louisiana History and Genelaogy site which has a database of Louisiana based slaves, since some census records list Louisiana as Tempy’s place of birth. But neither of the 2 Tempys that came up in the search were my great, great-grandmother. I tried several of the databases in the extensive resource guide listed in about.com (thanks for retweeeting the list LowCountryAfricana) but still nothing. In defeat, I logged on to my ancestry.com site, figuring I could at least feel like I was getting my money’s worth by trolling around the for pay site for a while. Wouldn’t you know, it actually elicited a clue. As I looked for documents on Hill Jones, the green leaf blinked on his wife, Judith Jones, indicating that there was a hint for her. When I clicked on Judith Boddie Jones’s name, my screen filled with several other members researching her line. Included in each of their trees were Judith’s siblings. Three names stood out: Elizabeth, William Willis and Temperance. Elizabeth McCauley was my great, great-grandmother Tempy’s final owner. Family lore has it that Tempy was given to Elizabeth when she married my great, great-grandfather, Col. W.R. Stuart. William Hill Howcott was one of Elizabeth’s cousins and Willis was his slave, immortalized in a Confederate monument erected in his honor. Willis followed his master into battle against Union forces and died in the process. Temperance seems to me to be a variation of the name Tempy. I don’t know if this was the case of a slave being named after someone in the master’s family, but it gave me a clue. The same way Tempy came to be in the colonel’s family through his wife, Elizabeth McCauley, is perhaps how she got to be in Hill Jones’s family -through his wife, Judith Boddie. Who knows if I’ll every find Tempy’s parents, but at least I found all these great new resources and have another place to look: in Nash County, North Carolina with the Boddie family. Where are you looking for new clues to blast through your brick walls? We do always want more, don’t we! Dionne, you’re getting closer and closer to my folks!! I will email you later, when I have more time. 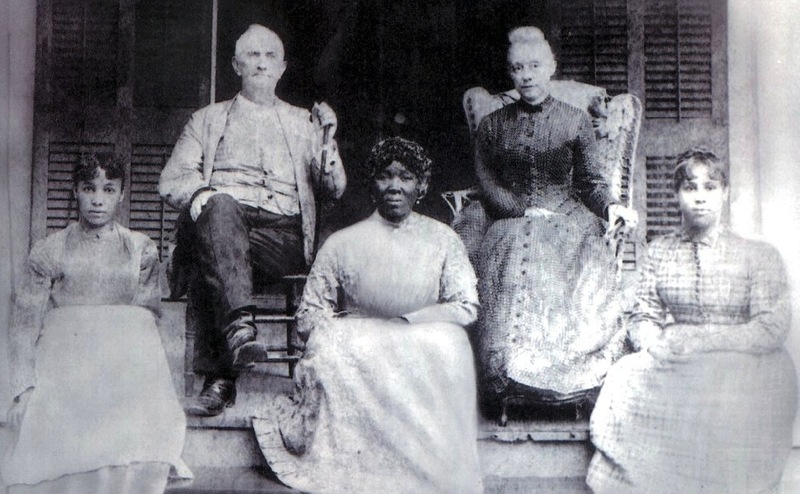 The Boddie family was predominant in the Nash/Franklin/Wake County area. I run across them all the time in my research. I’ll be in touch! Can’t wait to hear from you, Renate! Love that you’re breaking down walls. I’m headed to Yeshiva University and the JDC this week to pore through archives in my quest for information about a little boy sent on an orphan train out of Poland in 1946. Little by little, we find these clues. Thanks, Deb. Good luck this week with your inquiries. The letters are D.K. for don’t know (under names of parents). I’m another that’s seen DK for don’t know. I hate seeing those letters.